Cabo del Este is known for its colorful bays such as Cabo Pulmo, Palmas, La Ribera, Los Frailes, Punta Colorada and Punta Pescadero with splendid beaches. The most important attraction is sport fishing, however there is a huge variety of activities such as diving, hiking, cave painting esxursions, mountain biking, kayaking, horseback riding, bird and plants watching, kitesurf and windsurf. Always for the whole family. Located about 90 miles north of Cabo San Lucas, offers modern conveniences, but in an environment of small fishing village with restaurants and bars that cater to the perfect schedule to allow early risers sail. Around 80 local and migratory species are the focus of the sport fishing. 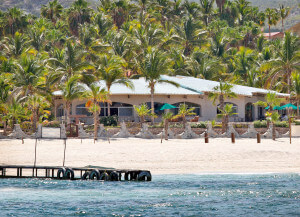 However the visit of passionate fishermen and celebrities like John Wayne and Bing Crosby have made Cabo del Este famous. It has also influenced great writers like John Steinbeck and Ray Cannon, who were inspired by this place and its fishing adventures to write their stories. 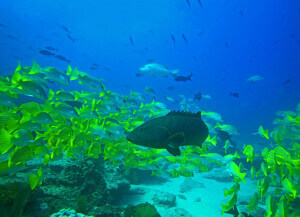 The geographical characteristics and underwater environment make this an ideal habitat location for both prey and predators. There are many areas close to the coast that offer exceptional fishing for species of blue waters. Local captains point out that this area is excellent for fishing for tuna, marlin and others. Fishing enthusiasts looking to stay in Buena Vista and Los Barriles to enjoy a number of places that are easily accessible to all types of vessels. 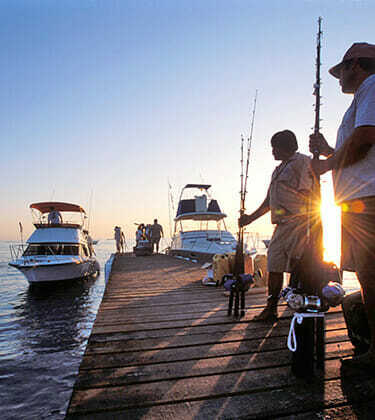 Cabo del Este is known as the “world capital of rooster fish”, being the best season in 2012, as it also was for the Highland fishing, horse mackerel and snapper production. In the winter months, in adition to the fishing of yellow tail tuna, sierra and other species, windsurfing becomes popular in the area due to strong winds from the north. Small towns like Los Barriles and Buena Vista have increased their tourism demand, with great prospects in terms of fishing for local and foreign visitors for its great diversity of marine life. 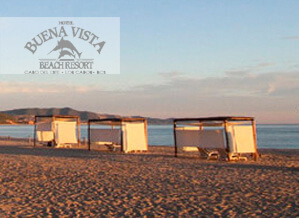 Along the unspoiled white sand beaches which border the azure blue waters of the Sea of Cortez, Hotel Buena Vista Beach Resort earns its name as the “Jewel of East Cape”. This family-run hotel located in the heart of the famously known East Cape region of Los Cabos. It sits over an underground river of natural hot springs that flow into the shimmering, azure-blue Sea of Cortez. The rich water that creates a lush tropical landscaping of palm trees and exotic flowers also provides the perfect elements for a relaxing, quiet getaway or an adventurous vacation, offering world class big game saltwater fishing, diving and snorkeling among other great adventures.